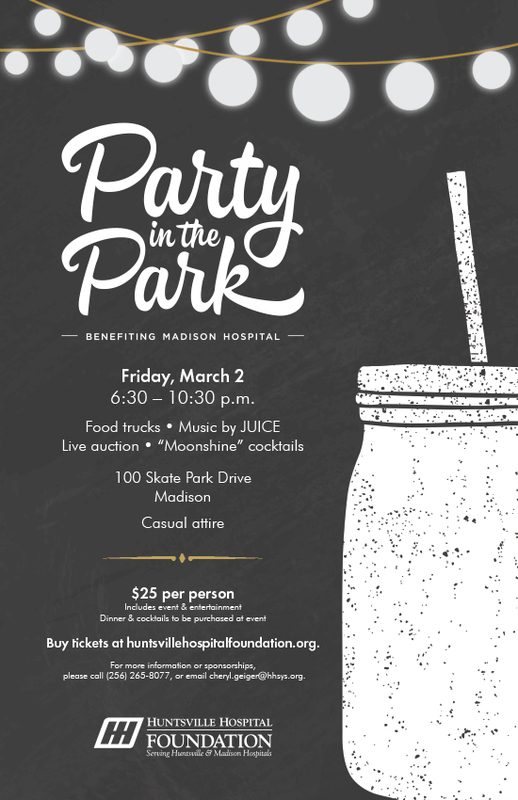 We hope you will join us for Party in the Park, benefiting Madison Hospital Friday, March 2, 6:30 to 10:30 p.m. at Insanity Complex. This casual event will feature food truck offerings from I Love Bacon, Fire & Spice, and Sugar Belle, live music from local band JUICE, “moonshine” cocktails, and a live auction. Event proceeds will purchase an additional joint replacement operating table for Madison Hospital’s Surgery Department, which has seen a 20 percent increase in orthopedic cases over the past four years. Tickets are $25 per person (ages 21 and up) and include event and entertainment. Dinner and cocktails may be purchased at the event.